The name, Ella Yelich-O’Connor may not be generally known outside her home town of Auckland, but her stage name, ‘Lorde’ is instantly recognized around the world. Lorde became an international superstar when she won a Grammy Award for her hit ‘Royals’. After that, she performed at a series of sell out concerts with fans enthusiastically embracing her new style of music. Ella was born and grew up on Auckland’s North Shore not far from where I live. There must be something in the water in this northern part of the city as it has produced an impressive number of internationally successful people in a variety of fields. Ella made her first public appearance as the lead singer in the teen band ‘Extreme’ which took part in the Intermediate School’s Battle of the Bands in 2009. Representing her school, Belmont Intermediate, her band took third place after she belted out cover songs from Led Zeppelin and others. The budding singer was just 12 years old when she first tasted success. She admitted after the contest of suffering a ‘sore voice’! Encouraged by her Battle of the Bands success, Ella teamed up with Louis McDonald, a musician and school friend, and as ‘Ella and Louis’ they sang at various venues around Auckland. In 2011, a tape of Ella singing was sent to UMG (Universal Music Group) who were impressed enough to pay for her to have singing lessons throughout that year. UMG also handles artists such as Taylor Swift, Adele and Lady Gaga. After these bi-weekly voice lessons, Ella gained more confidence and began writing her own songs. Because she had a fascination for royalty, she chose the feminine spelling of ‘Lord’ as her stage name. While attending a party in New York, the 16 year old singer was introduced to one of the world’s most iconic singers. She admitted that meeting David Bowie changed her life. He said, “her music felt like listening to tomorrow”. For his part, Bowie told associates he was very impressed with the teenaged Kiwi singer. Three years after that New York party, Lorde received a flood of complimentary comments from those at the Brit Awards after singing ‘Life on Mars’ as a tribute to the late David Bowie. She must have felt a special sense of achievement and I guess one fan’s comment “This is how you do a tribute”, says it all. Lorde’s emotional performance was also highly praised by the media and was particularly special because Bowie’s original touring band accompanied her for the song. After the success of her album ‘Pure Heroine’, classed by commentators as ‘indie pop’ and ‘dream pop’, and which sold close to three million copies, a real feat in today’s world of singles downloads, the Kiwi singer is taking her time on her next album. Because she doesn’t play any instruments, Lorde admits she places all her efforts on her voice and is learning to play with it as she continues to develop as a singer. It would appear she is also learning to adjust to the new world she was forced into after her phenomenal success. “I wrote Pure Heroine about that world which was the suburb where I grew up and populated by my friends and people who were really familiar to me. Now I’m in a different place every day and I’m with new people every day and it’s a different vibe,” she told a BBC reporter in a recent interview. There is talk of contract issues with the manager she parted from last year which may also be holding up work on her new album. Following Peter Jackson’s lead when he frequently posted updates on social media on the production of his Hobbit films to keep fans informed and interested, Lorde has also been keeping her fans up to date on Twitter. She knows her next album has to be the best she can make it to meet the high expectations of her fans. No pressure! Lorde even admitted she had spent three days alone in the wilderness to get inspiration for her new songs. Since Pure Heroine, Lorde has worked on the soundtrack for The Hunger Games: Mockingjay, Part1 which resulted in the single Yellow Flicker Beat. She also wrote Heartlines, a song for fellow Kiwi duo Broods. The brother and sister singers are just beginning to make a name for themselves in the USA. Lorde was happy to help them along the way by having her name associated with their album. Lorde co-wrote Magnets for Disclosure’s new album too. She told Rolling Stone she had an instant chemistry with the Lawrence brothers, 24 year old Guy and 21 year old Howard because they were of a similar age. “I feel like we’re navigating this weird world together where, like, we play a club, and they’re like, ‘Well, you’re actually not old enough to be in this club. We’re going to have to monitor you very strictly’ so I feel like, for that reason, there’s some common ground,” she said. Guy and Lawrence were amazed when Lorde arrived alone at the recording studios. They were expecting her to be with a entourage of security men and various management personnel. Lorde was just being a regular Kiwi girl. New Zealanders are not into inflated egos and false promotion. I guess that’s why Kiwis are so well respected around the world. With a Kiwi, what you see, is generally what you get! It’s part of a New Zealander’s make up. Lorde also likes to help others wanting to break into the entertainment industry. She has agreed to be a judge for the 2016 International Song writing Competition. She will help select 71 winners over 23 categories. This is the second time she has been a judge for this competition. She also attended a Press Club luncheon this month to support her friend Hera Lindsay Bird as she celebrated the international success of her first book of poems. Lord is a member of Taylor Swift’s ‘girl squad’ and is also influential in the fashion world with the clothes she wears at various functions, especially in the USA, being widely reported in teen magazines and on social media. No matter how the new album is received, Lorde has already made a heap of money. During 2014, she appeared at music festivals across South America and Australia. She also undertook two hugely successful concert tours of the USA. By her 18th birthday, it was estimated she was worth 11 million dollars. She has just paid 2.85 million dollars for a four bedroom home in one of New Zealand’s top suburbs. The Herne Bay house was built in 1900 and has a heated swimming pool. Not bad as a first house for a 19 year old who paid the full amount in cash! Ella doesn’t spend her money only on herself. She recently donated $20.000 to a Wellington children’s charity. She is also occasionally seen at various fundraising events around Auckland, knowing her presence as Lorde will generate interest and hopefully inspire people to open their wallets and donate money. Ella is also a genuine supporter of her school friends and is known for giving encouragement when needed. She shared the country’s joy when a girl she used to play school netball with, achieved success at the Rio Olympics. When Eliza McCartney won a bronze medal for pole jumping, Lorde sent a tweet to the successful teen athlete simply saying, Ahhhh crushed it Eliza! In November 2013, Time Magazine listed Lorde as one of the most influential teenagers in the world, saying she was “forging her own path”. In January the following year, Lorde was the youngest person to be placed on Forbes list “30 Under 30 young people who are changing our world”. 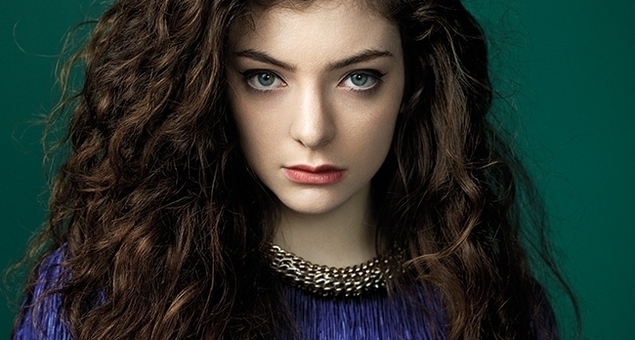 Lorde has won two Grammy Awards, A Brit Award and 10 New Zealand Music Awards. A senior student at Takapuna Grammar School appeared on TV the other night. His desk was the very one Lorde had sat at during her final year at this well regarded Auckland school. The reporter asked him how it felt to be in Lorde’s chair. “I hope some success vibes rub off and I can be as successful as she is.” he replied. A very well written, interesting story on a truly inspiring young Kiwi girl. It is good to know what she has been up to lately. I just want to tell you that I’m newbie to blogging and definitely enjoyed your page. Most likely I’m planning to bookmark your website . You definitely come with awesome writings. Appreciate it for sharing your web site. Heya! I know this is somewhat off-topic but I had to ask. Does building a well-established blog such as yours take a massive amount work? I am completely new to running a blog however I do write in my diary everyday. I’d like to start a blog so I will be able to share my personal experience and views online. Please let me know if you have any suggestions or tips for brand new aspiring blog owners. Appreciate it! It takes dedication and at least 4 hours a day for me to create my blogs. Hi there would you mind stating which blog platform you’re using? I’m going to start my own blog in the near future but I’m having a tough time choosing between BlogEngine/Wordpress/B2evolution and Drupal. The reason I ask is because your layout seems different then most blogs and I’m looking for something completely unique. P.S My apologies for getting off-topic but I had to ask! I use WordPress and had a designer set the whole site up for me. I came up with the ‘clean’ design. Greetings! keep up the great work! Hi I am so happy I found your blog page, I really found you by error, while I was searching on Askjeeve for something else, Anyhow I am here now and would just like to say cheers for a incredible post and a all round interesting blog (I also love the theme/design), I don’t have time to read it all at the minute but I have book-marked it and also added your RSS feeds, so when I have time I will be back to read a great deal more, Please do keep up the fantastic job. Admiring the time and energy you put into your blog and detailed information you present. It’s nice to come across a blog every once in a while that isn’t the same old rehashed material. Fantastic read! I’ve bookmarked your site and I’m including your RSS feeds to my Google account. Thanks for the marvelous posting! I actually enjoyed reading it, you might be a great author.I will make sure to bookmark your blog and definitely will come back at some point. I want to encourage you to definitely continue your great work, have a nice day!